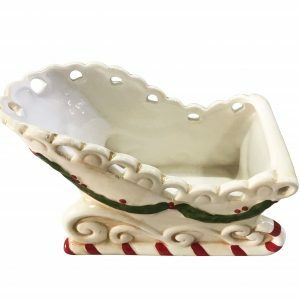 The Holly Leaf Platter is a large 19cm wide by 32cm in length, and will be a most-useful component of your holiday kitchen. The green moulded resin is formed and shaped into the recognizable holly leaf motif, edged with glittering gold trim. 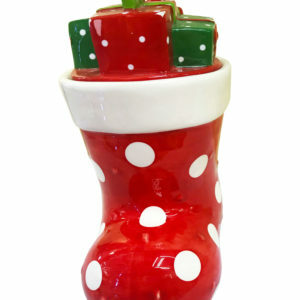 What a delightful dish to use on your Christmas table, for fruit, salads, or candy. 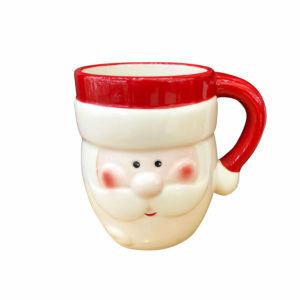 Consider filling it with sweet treats, muffins, or scones for Christmas morning breakfast. This is also a great dish to use when taking a snack or baked good to a friend’s home during the festive holiday season. 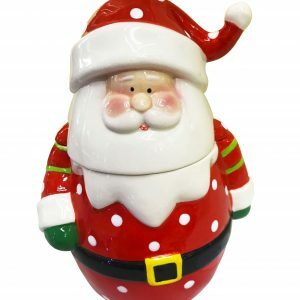 This would also be a lovely centrepiece when filled with a few loose pine-cones, glass baubles, or fir boughs. Give this to a friend or neighbour for a pre-holiday gift that they will use in their own home for years to come. 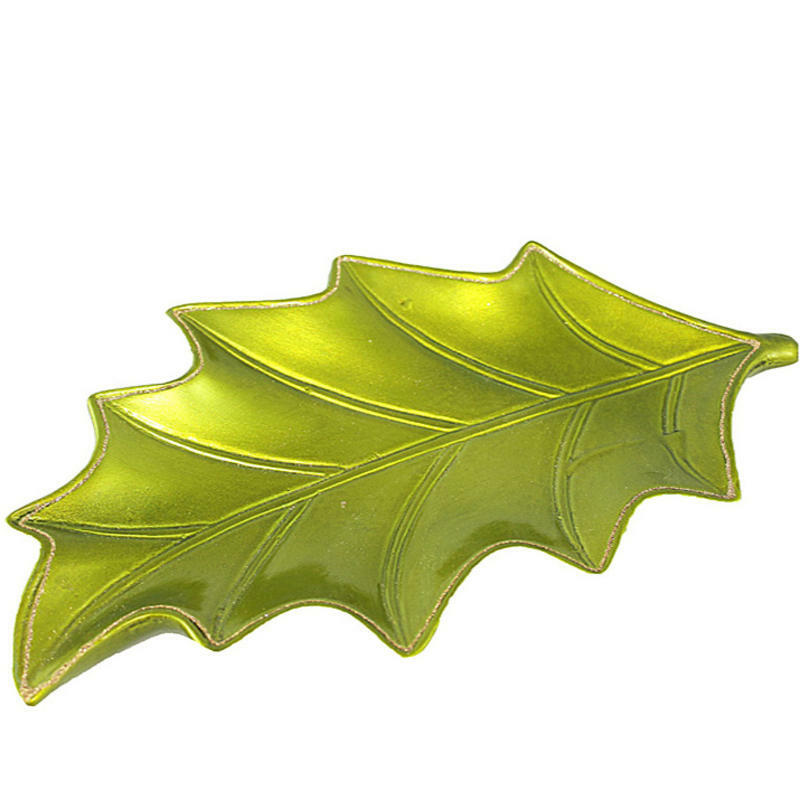 Such a simple motif, and such a useful platter, the Holly Leaf Platter is not only elegant but also practical.